Halo Condos is a 45-storey condominium tower designed by architectsAlliance that will house 423 suites. 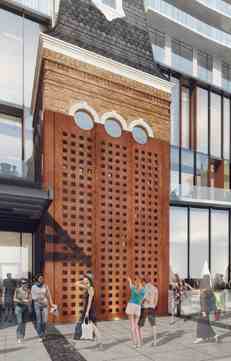 The former fire hall clock tower will be restored and featured in the podium of the project. Halo is a new illuminating force in residential luxury. Designed by visionaries. Outfitted by Baccarat. Experience the Halo effect. Residents of Halo Condos have quick access to the key amenities in Downtown Toronto. Downtown financial district, 5 major hospitals, University of Toronto, Ryerson University, theatres, shopping malls and Eaton Centre are in your close proximity. 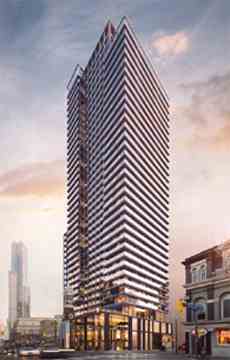 Halo Condos is located at the heart of downtown at 480 Yonge Street, Toronto. It is 1 minute walk to the College Subway Station and a few minutes away from the Bay Street Corridor neighborhood.